The Emmons condominiums are located in the center of Mount Crested Butte near the Crested Butte Mountain Resort base area. Step out your door and head directly to the lifts, nearby restaurants, or shopping. Also nearby, the town shuttle bus stop at the Mountaineer Square transit center runs every fifteen minutes during the winter, and twenty minutes in the summer. Speaking of summer, there is lots to do at the base area during the warmer months as well, including hiking and biking at the ski area. Technically known as the Village center condos- Emmons building, these units make great rentals given their convenient centralized location. As one would expect, there are great amenities at the Emmons condominiums including a west facing hot tub for catching the sunsets. Most units also have additional outside storage for items such as skis. 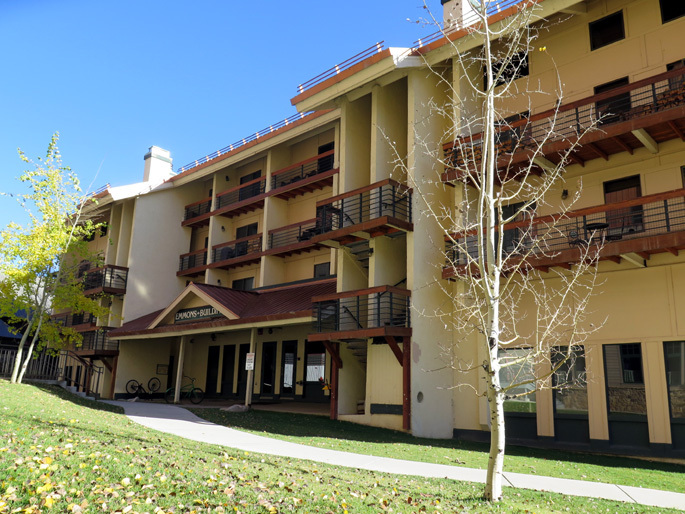 Despite the close proximity to the ski area, these condos are surprisingly affordable, especially compared to similar offerings at other ski areas. The Emmons building is located at 11 Emmons Loop, Mount Crested Butte, CO 81225. As of 6/11/2018, there have been 9 sales in the past two years, with an average sales price of $241,000. If you are interested in buying or selling a condominium at the Village center- Emmons building, feel free to contact me anytime. Overview, map, information, plus all Emmons condominiums for sale in Mount Crested Butte, CO. Request a property valuation for your Emmons condo.